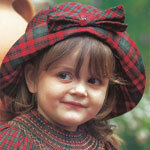 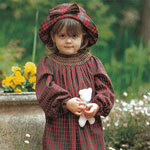 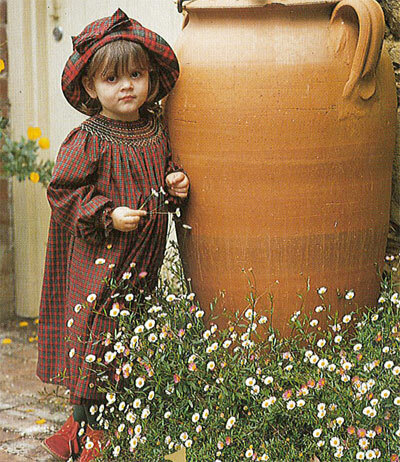 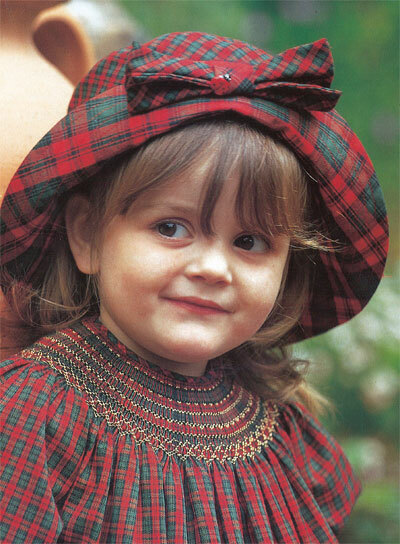 Description: A tartan bishop dress with a matching hat. 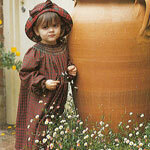 The dress is smocked with shiny Marlitt thread. 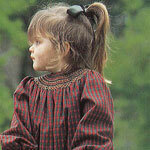 The long sleeves are also smocked using the same thread. 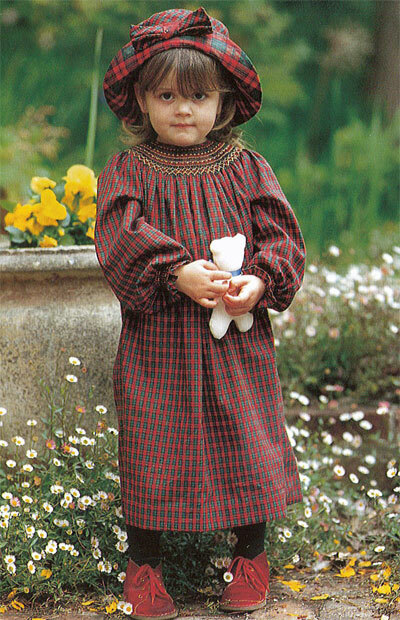 Six self cover buttons close the back opening.